Have you ever thought about retiring abroad? It’s something many people consider and dream about. It can be a great way to stretch retirement savings and experience a different part of the world. But it’s a dream that often is derailed by doubts—questions such as, Is this really worth doing?…Is it practical?…Is it safe?…Would I be happy? An increasing number of retirees are concluding that the answers are all “yes”—more than 550,000 Americans now receive their Social Security benefits outside the US, a sharp increase from nearly 400,000 who did so in the year 2000. • Won’t I miss my family and friends? The honest answer is, you might not miss loved ones any more than if you retired to a different part of the US—but it does depend on which country you choose. If you retire to Southeast Asia, for example, flying home can be a long haul. But if you retire to Latin America or Western Europe, coming back to see family isn’t much harder or more time-consuming than flying around the US. Some people who retire to these regions fly back to the US multiple times a year…or even split the year between the US and the foreign country. Example: Flights between Panama City and New York City are only around an hour longer, on average, than flights between Phoenix and New York City. And video-calling services such as Skype and FaceTime allow you to call home as often as you like, as long as you have Internet service. • How much money will I save compared with living in the US? In the popular expat enclaves of Latin America and Southeast Asia, your dollar might stretch nearly twice as far as in the US. Retired couples often can live very well for $2,000 to $2,500 a month…and sometimes even less. That, in essence, makes you quite a bit wealthier than you are in the US. Don’t expect to reap these savings from day one, however—it takes a few months to learn how to spend money efficiently in a foreign land. Example: Many retirees initially buy the products they used back home—but goods imported from the US can be pricey overseas. Soon they learn which local brands are just as good. For example, local beers, wines and liquors often are much cheaper than imports, and they can be excellent. On the other hand, if you retire to one of the big, famous cities of Western ­Europe, such as Paris or London, you’ll likely spend more than you would in the US. But there are other, lesser known places in Europe that are affordable where you could retire on a modest budget. Examples: If you dream of retiring to France, affordable and appealing areas include the warm and beautiful Languedoc-Rousillon region near the Spanish border…the Rhone-Alpes region with its pristine lakes and Alpine views…and the pastoral Normandy region, a two-hour drive from Paris. Europe has excellent, affordable rail service, so you can visit any nearby big cities frequently. Or consider Spain and Portugal, which tend to be less expensive than other countries of Western Europe. • How will I get health care and health insurance? Medicare will not pay your medical bills outside the US. But in the major retirement destinations of Western Europe and Latin America, health care is very affordable and very good. (In Latin America, health care often is up to US standards in big cities and towns. The farther you get from those population centers, the more limited the services are—something to keep in mind if you have specific health-care needs.) Prices might be one-third to one-fifth of what you would pay for comparable medical care in the US if you pay in cash—that is, without any insurance. Many countries have national health-care systems with negligible fees that foreign residents are eligible to join. These programs can have long waits for nonemergency care, however, and in some cases, they do not provide access to the top hospitals. There often is a private health-care system as well. Insurance that covers this private system often costs just a few thousand dollars a year. Example: In Panama, private medical insurance can cost as little as $80 a month, but it typically is not available to people over age 65. People above this age can obtain a “hospital membership” for between $90 and $175 a month. drug coverage because you can’t use it when abroad…and you will not face a late penalty for signing up upon your return, as long as you do so within 63 days of moving back to the US. • Will I be allowed to set up residence anywhere I want to go? Most countries are happy to have American retirees move in—US retirees bring dollars and don’t take jobs away from locals. You might have to endure considerable paperwork and be required to prove that you have assets and income. Examples: Costa Rica’s Pensionado program for expat retirees requires proof of monthly income of $1,000 or more from a pension or retirement fund. 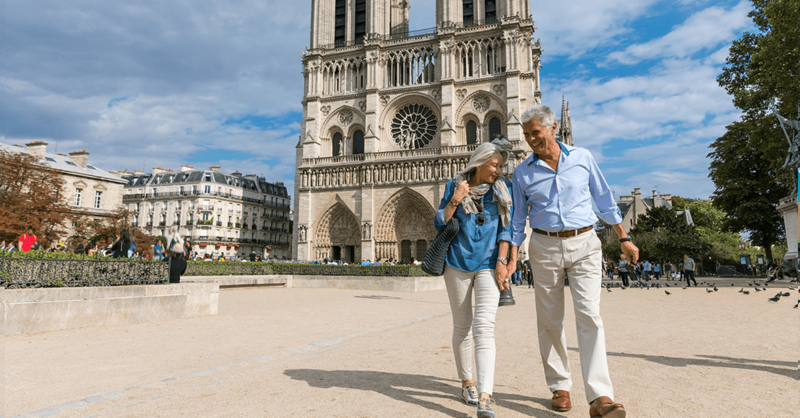 France does not have a program specifically for expat retirees, but expat retirees often can obtain a carte de ­séjour visiteur from a French consulate if they can show that they have the means to support ­themselves. Buying real estate usually is possible, too—but don’t be in a rush to do so. Rent for at least six months to make sure that you’ve truly found the place you want to live. Helpful: If you decide to buy property, ask other expats in the area to recommend a lawyer who specializes in helping foreigners buy real estate—in many countries, the process is significantly different from that of the US. • Will my money be safe in a foreign bank? Probably—most countries where retirees live have stable banking systems. Still, the banks may not have the rock-solid FDIC insurance of US banks, which is one reason many expat retirees keep most or all of their money in US bank accounts and in US investments. Examples of US banks that do not impose currency-conversion fees or fees for foreign ATM use: Capital One 360 Checking (CapitalOne.com) or Charles Schwab Bank High Yield Investor Checking (Schwab.com). Consider keeping a small amount of money in a local account in the country to which you have relocated. • Will I be safe in a foreign country? If you retire to an area where there are lots of other Americans, the odds are good that you will be safe—if the area weren’t safe, it wouldn’t be so popular with Americans. That’s true even in much of Mexico, a country that has well-publicized crime problems. The crime is largely concentrated in a few parts of that very large country—much of Mexico is as safe as the US. Safe, desirable and affordable areas include Mérida on the Yucatán Peninsula…and Lake Chapala in Mexico’s central highlands. • Can I receive Social Security benefits abroad? If you are a US citizen, you can receive your benefits in almost any country in the world. Cuba and North Korea are among the exceptions. • How will living abroad affect my taxes? It will complicate them but not necessarily increase them. The US requires that its citizens file tax returns even when they live abroad, so you probably will have to file returns in two countries. But the US tax code includes a “foreign tax credit,” so the amount in taxes you pay a foreign country generally can be offset from your US tax bill. Alternatively, you can claim an itemized deduction for foreign taxes. You could avoid US income taxes entirely by renouncing your US citizenship, but very few expat retirees do this, for both patriotic and practical reasons. Keeping US citizenship guarantees that you can return to the US if necessary. • How hard is it if I don’t speak the language? If you choose a country where English is the official language, such as Belize or Ireland, this isn’t an issue, of course. And you can get by speaking only English in other countries if you settle in a community with lots of American and Canadian expats. But why do that? You’ll enjoy living abroad much more if you learn the national language, and it’s fine—in fact, fun—to do that after you’ve arrived. 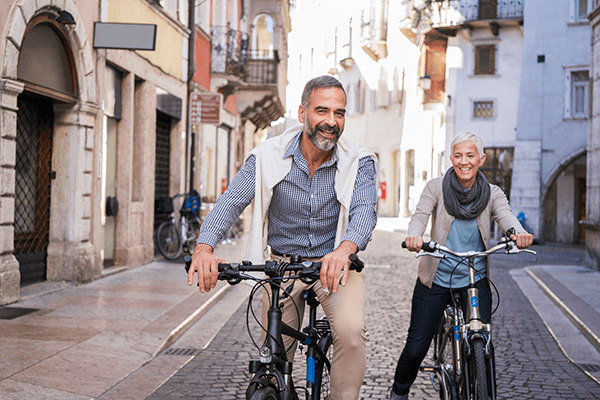 Each year, International Living magazine rates foreign countries for Americans to retire to, based on a dozen criteria including climate, health care, safety—and affordability. Among the top-rated affordable countries for 2019 are Panama, Costa Rica, Mexico, Ecuador and Malaysia. For ­details, go to InternationalLiving.com/best-places-to-retire.